The Boston Tea Party was an organized political protest that took place in Boston during the American Revolution. 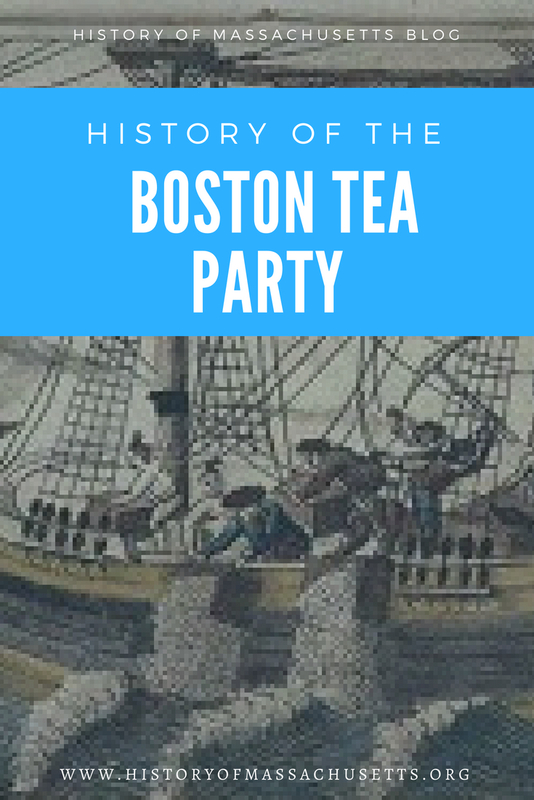 The Boston Tea Party was an act of protest against the Tea Act of 1773, which had been recently passed by the British Government. During the Boston Tea Party, several hundred participants, including Paul Revere, dressed in disguise, rowed in small boats out to three cargo ships anchored in Boston Harbor, climbed aboard and dumped 90,000 pounds of tea into Boston Harbor. What Was the Date of the Boston Tea Party? 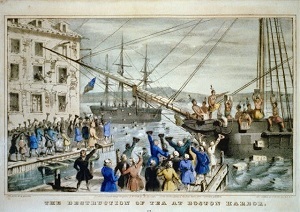 The Boston Tea Party took place on the night of December 16, 1773. Due to a series of costly wars, the British government was deeply in debt by the late 1700s and hoped to make some much needed money off the sale of British tea in the colonies. Colonists were drinking 1.2 million pounds of tea a year and it became clear that adding a small tax to this tea could generate a lot of extra money for the government. The British government passed and then repealed a few tea taxes before it finally passed the Townshend Act of 1767. The Townshend Act placed a tax on all tea sold in the colonies, among other goods. The colonists resented the government’s attempts to make money off them and complained that it was unfair. To appease the colonists, the government repealed the tax on most goods sold in the colony except for the tea tax. 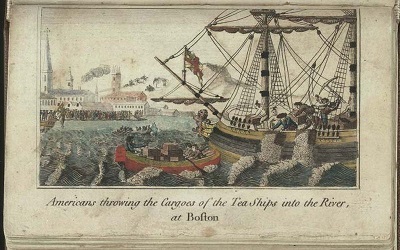 Then in May of 1773, the British government passed The Tea Act, which allowed for tea to be shipped by British companies duty-free to the North American colonies, thus allowing the companies to sell it for a cheaper price. The tax on tea for colonists still remained though. 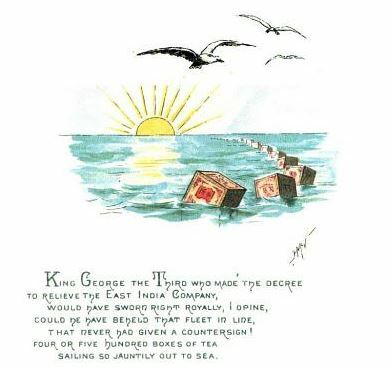 One reason behind the tea act was to help save the floundering East India Company, whose tea sales dwindled after the colonists began boycotting British tea. 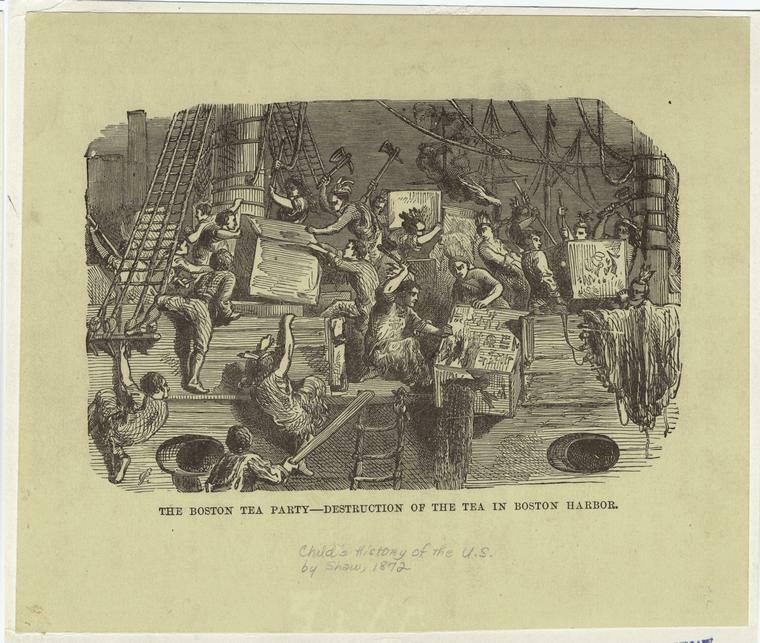 Another reason behind the tea act was that, since the tea tax was still in place, selling the colonists discounted British tea could be a subtle way to persuade them to comply with the unpopular tax. The colonists, though, opposed the tax on a matter of principle, not financial cost, so they refused to comply. 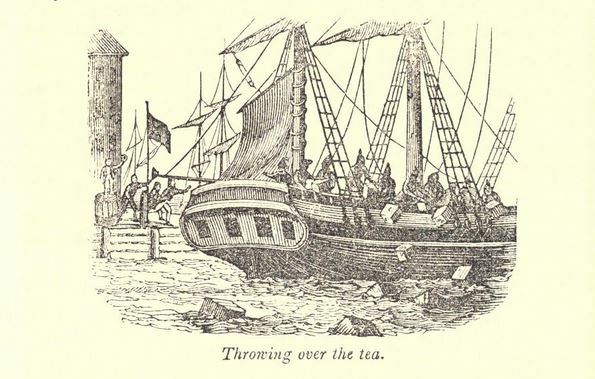 Still angry about the unfair tea tax, the colonists refused to let the Dartmouth, a merchant ship filled with tea, dock in Boston harbor at Griffin’s Wharf in November of 1773. The colonists sent a message to the Custom house to send the ship away without any payment for the tea. The Collector of Customs refused. Colonists held a meeting at Faneuil Hall on November 29, 1773 but it was moved to the Old South Meeting House to accommodate the large crowd. At the meeting, the colonists all agreed that the tea should be sent back and the tax should not be paid. They assigned 25 men to guard the docks and prevent the ships from docking while they adjourned the meeting for the next day. The following day, the colonists met again in the Old South Meeting House and listened to a message delivered via John Copley from the tea company. The company suggested storing the tea in a warehouse until further instruction from Parliament. This idea was immediately rejected because it would mean paying the tax on the tea once it landed. The local sheriff, Stephen Greenleaf, then delivered a proclamation from Governor Hutchinson ordering them to stop blocking the ships from landing. The colonists refused to comply with Hutchinson’s demands. 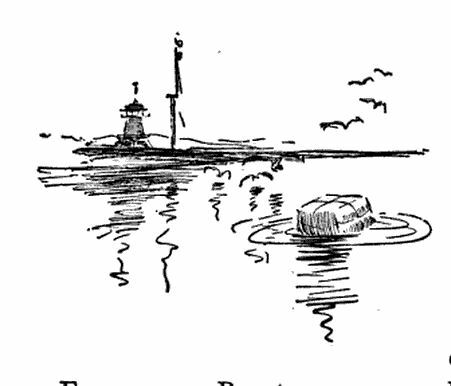 In the first week of December, two more tea ships arrived; the Eleanor and the Beaver. The meetings continued while colonists tried to find a way to prevent the ships from docking. The last meeting was held on December 16 and included over 5,000 people. The colonists sent a message to the governor asking him to allow the ships to return to England without payment. As the owner of one of the ships, Francis Rotch, left the Old South Meetinghouse to give the governor the message, the colonists waited. When Rotch returned hours later with the governor’s reply, a definite “no”, they realized they had run out of options. Little did they know, the Sons of Liberty, a radical political group based in Boston, had anticipated this response and had a secret plan laid out. 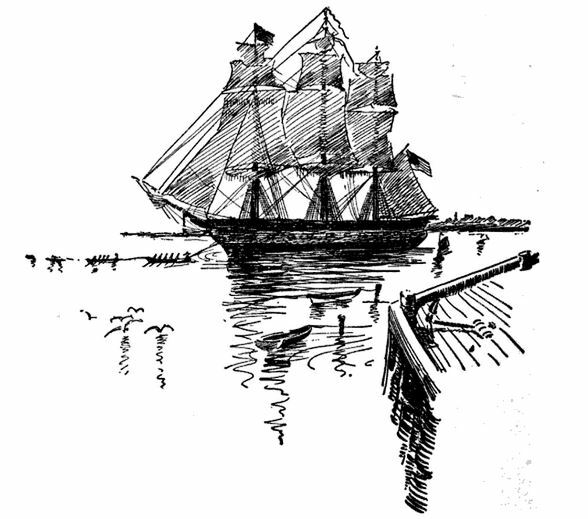 Shortly after the governor’s reply was announced, members of the Sons of Liberty, sitting in the audience, stood up and shouted “Hurrah for Griffin’s Wharf!” and “Boston Harbor a Teapot Tonight!” as they began disguising themselves as Native Americans, and rushed out of the meetinghouse towards the harbor. Other people joined the Sons of Liberty along the way and together the mob rowed out to the ships and dumped 90,000 pounds of tea, about 1 million dollars worth in today’s money, into Boston Harbor. Parliament called it “vandalism” and England’s attorney generally officially charged a number of patriot leaders, including Samuel Adams and John Hancock, with the crime of high treason and high misdemeanor, even though there is no proof any of them participated in the protest. These “Coercive Acts” which consisted of several acts, including the Quebec Act, the Quartering Act and two additional Intolerable Acts, made life very difficult for Bostonians and Massachusetts residents. Morale began to run low, food was scarce and some colonists began to wonder if paying for the destroyed tea might appease the British government. 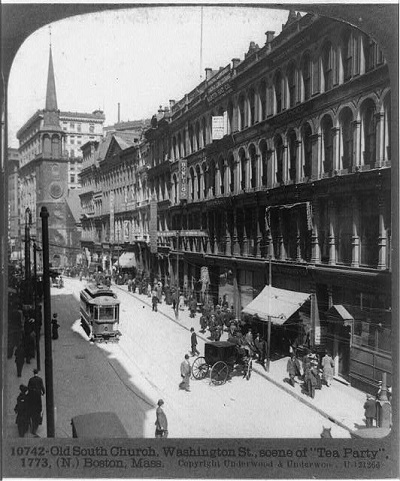 Fortunately, the other colonies, including Nova Scotia, Georgia and even Virginia, began to send food and supplies to Boston to ease their suffering. In February of 1775, the British Government passed the Conciliatory Resolution which stated that any colony that wanted to contribute its share of the “common defense” to parliament would be exempted from further taxes except for regulation of trade. An attempt at reconciliation was made in 1778 when the British government repealed the tea tax with passage of the Taxation of Colonies Act 1778 but by then it was too late, the colonies were already in the middle of their Revolutionary War with Britain. thank you for the information I had an assignment to do and it really helped me out I am glad that I chose this website instead of the other websites I could’ve chosen.